The Goods & Service Tax will impact all your financial transactions, including your investments in equities, mutual fund schemes, processing fees of all types of loans, insurance premiums, among others. Let’s look at the impact of GST on all these transactions. An investor or trader buying or selling equity shares had to pay service tax and various other charges and cesses previously on the commission amount paid to the broker. 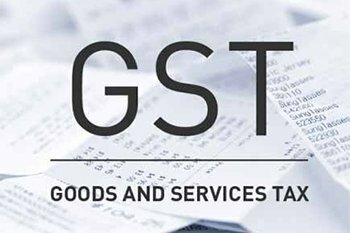 Now, the service tax, which was levied at 15%, and the cesses that were levied at marginal rates, have been replaced by GST rate of 18%. So, the transaction cost of buying and selling equity shares has gone up by more than 2%. Also, the cost of holding shares in the demat account will increase as the higher rate of GST at 18% will be levied on the demat account charges. For mutual funds, the expense ratio may go up due to the increase from the service tax rate of 15% to the GST rate of 18%. Of course, the increase in expense ratio will be subject to the maximum specified by SEBI, so if a mutual fund scheme already charges the maximum specified expense ratio, the impact of GST for the investors will be nil. The processing fee and the prepayment charge levied by the banks and financial institutions on various types of loans such as personal loan, home loan, car loan, loan against property, etc. will attract GST and, therefore, the cost of availing and prepaying these loans will go up by about 3% (differential between service tax rate and GST rate). The tax levied on premiums of term insurance policies, ULIPs, health insurance policies and policy riders on these policies will go up from 15% of the erstwhile service tax to 18% of the GST. The rise in tax levied on premiums of endowment policies and single premium annuity policies will be marginally higher, with the increase ranging from 0.1% to 0.75%. Other banking services such as withdrawals from ATMs, NEFT, RTGS, IMPS, debit/credit card, e-wallets, cheque book fees, etc will also attract the higher GST rate and will be dearer.